Nokia 6680, 6681 and 6682. Three closely related handsets running the Symbian Series 60 operating system, the Nokia 6680, 6681 and 6682 feature Bluetooth, a 1.3 megapixel camera, removable memory on hot swappable Reduced Size MMC (RSMMC) cards, stereo audio playback and a large 176x208 pixel display. The primary different between the 6680 (pictured left) and 6681 (pictured right) in technology terms is that the 6680 is a 3G device with a secondary camera on the front for video calls, and the 6681 is aimed at markets using the EDGE data standard. Significantly, the Nokia 6680 is the first Nokia phone to offer built-in video calling capabilities, which should help with its acceptance by 3G operators. 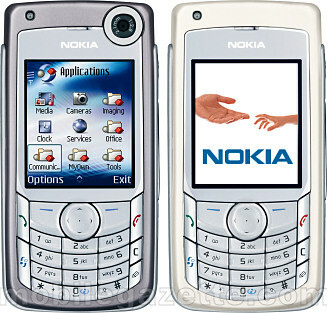 The Nokia 6682 is a variant of the 6681 designed for US markets. The 6681/6682 is a clever move by Nokia as it means that users on EDGE networks have access to pretty much the same technology as their 3G counterparts, and this is a useful handset for those carriers that didn't go to the massive expense of acquiring a 3G licence. EDGE data support gives download speeds of up to 236.8 kbps, which isn't that much slower that the 3G speeds of 384 kbps on the 6680. Really, apart from the video calling there is very little functional difference between EDGE and 3G as far as most users will be concerned. Both cameras have a sliding mechanism for the 1.3 megapixel camera that protects in when not in use, and automatically activates it when opened. The 176x208 pixel screen, while not quite as large as other 3G handsets, and certainly not as high resolution as the Sharp 902, is pretty good. Symbian Series 60 is a capable operating system, and both the 6680 and 6681/6682 come with an email client that can support multiple document types, a web browser, MP3 stereo music player, video capture and PC synchronisation via Bluetooth or USB cable. Both handsets are fairly large, at 108x55x21mm and 131-133 grams. Talktime on 2G is 3-6 hours, 2.2-3.3 hours for 3G and 6-11 days standby time. Because these are 6000 series phones, the looks are fairly conservative and perhaps a little bland, but it's quite likely we'll see the same handset in different cases later to suit all markets. The 6680 and 6681/6682 are amongst the best phones that Nokia have made, but it's worth a quick comparison with the competition. The Sharp 902 and Sanyo S750 have much better screens than these Nokias, and the 902's camera is of a much higher resolution - however the software package on the Nokia 6680 beats both the Sharp and Sanyo. However, the recently announced Sendo X2 packs almost everything in that the 6681 and 6682 do except EDGE, and it comes in at a mere 95 grams. 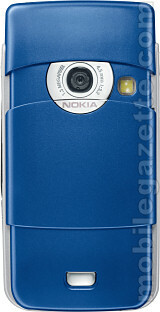 These Nokias are certainly not class leading handsets, but they are highly competitive and should appeal to many. The 6680 should be available from March 2005, the 6681 in April 2005 followed by the 6682 in the second quarter of 2005. The 6680 will cost about �500/�350/$620 unsubsidised, and the 6681/6682 around �450/�310/$560. The 6680 will be available in Light Bronze or Blue Silver, the 668 will be Electric Blue and Pearl White in Europe/Middle East/Africa, Pearl White and Light Silver in Asia Pacific and Electric Blue and Light Silver in China.